While we know that many of you are in a shopping frenzy right now, it’s important to take a break from the crowded stores and Christmas wish lists and spend a little time taking in the beautiful sights and sounds of Christmas right outside of your back door. Well, it won’t actually be right outside your door but it could be! This trip takes a little over 10.5 hours so pack up the car, put the hot chocolate in some travel mugs, bundle up the kiddos, stock up on Christmas cookies and put those holiday tunes on because this Christmas road trip is exactly what you need to get in the festive spirit. Take in the sights of the Lincoln Park Zoo as it comes alive with over two million Christmas lights. Enjoy sweet treats, visit Santa at the Helen Brach Primate House or go ice skating past adorable farm animals at Farm-in-the-Zoo. All these sites and sounds are completely free and can be enjoyed from November 25th until the New Year. Does the Trans Siberian Orchestra typically usher in your Christmas festivities? If so, then it’s time to enjoy this nightly light show, Symphony of Lights. All 250,000 LED lights will dance, flicker and frolic across the landscape, perfectly choreographed to the Trans Siberian Orchestra. 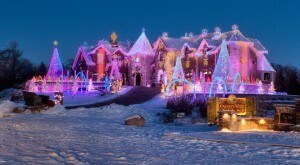 This is one of the largest commercial holiday light shows in the Chicagoland area and one that shouldn’t be missed! 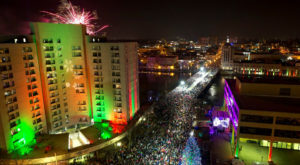 Join East Peoria for its 32nd annual Festival of Lights show from now until December 31st. See what the town has been hard at work creating all year long. 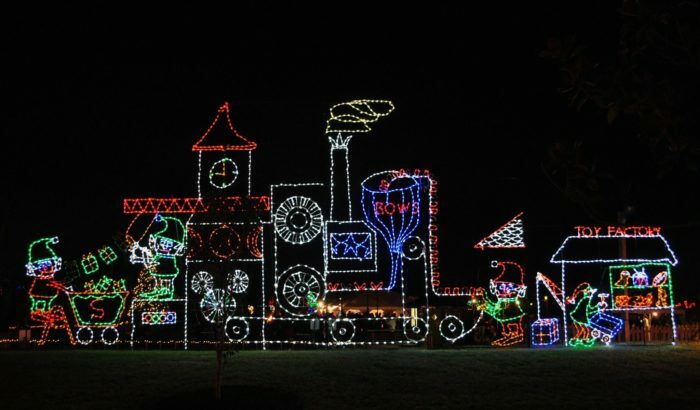 From a twinkling and animated train that is over 160 feet long and contains over 65,000 lights to spectacular lighted floats, this park comes alive with the holiday spirit. And don’t miss a peek at Folepi’s Enchanted Forest. Located in the Levee District, the Enchanted Forest houses a 35-foot tall tree along with more creatively decorated trees and parade floats. ‘Tis the season for holiday extravaganza and The Glencoe Botanic Garden is sure to put smiles on everyone’s faces. They have everything: a light show, a railroad garden, the city of Chicago as a quaint miniature town, carolers, and elaborate ice sculptures. What’s not to love? When you enter the gardens you’ll be greeted by the soft glow of white lights on the fir trees. Red-and-white-lighted dogwood trees lead the way through Heritage Gardens. And if you are just road tripping with your friends, then you may also want to enjoy a little holiday cheer in a wine glass at Wonderland Express on December 7th. Do you want to see what happens when a little sibling rivalry mixes with a little friendly competition? Well, you get the McIntosh Christmas Lights Show, of course! What started as a fun little decoration battle has now turned into a full on light show decked out with Light O Rama Technology and decorations that twinkle and dance in time to music. Half of this decorative duo believes that he’s used up to four miles of extension cords just to run the attraction. Move over, Clark Griswold! 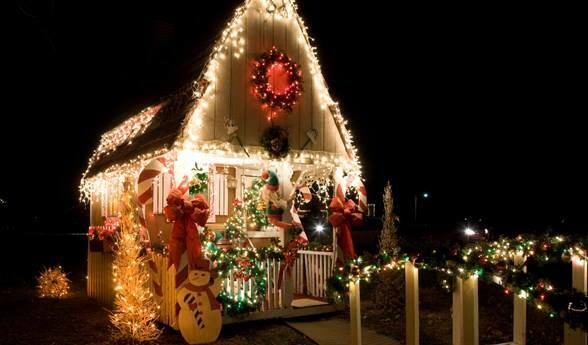 Did you know you can visit Santa’s shop, a Victorian village, Bethlehem and the North Pole right here in Illinois? Well, now you can when you head to Shelbyville. You’ll be in for a real treat when you drive through Forest Park where you’ll be blanketed in the glow of beautiful holiday light displays. New themes and lights are added each year, so this light show never gets old. If you make it there on the weekend, hop out of the car and enjoy a carriage ride. It’s the most wonderful time of the year. 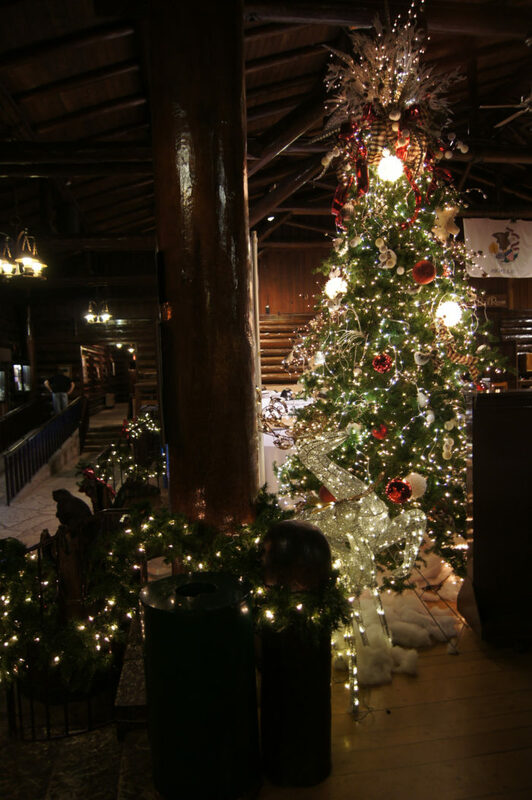 It’s time to hang up the stockings, decorate your tree and then come on out to Carlyle Lake to celebrate the season with some folks who know how to do it right! Watch the City Park come to life every night from now until January 1st. 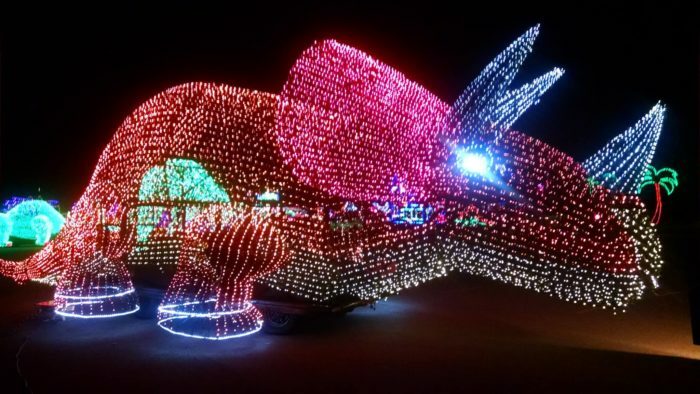 Take in all the magic of these holiday displays from the warm confines of your own car (don’t forget to turn on some holiday tunes!). You will also see Santa making a couple trips to Carlyle Park, despite his busy schedule, to meet with the little ones. Sometimes you need a little break from all the gift wrapping and holiday planning to sit back and get a breath of fresh air. What better way to do that than by riding a heated Christmas trolley while taking in the illuminated displays of LaSalle, Oglesby and Utica? From December 16-23rd bring the kids, in-laws, and the whole family to what could end up being a time-honored tradition. Bring an extra blanket, cozy up, and leave the driving to someone else while you sing carols and enjoy the joyous decorations. 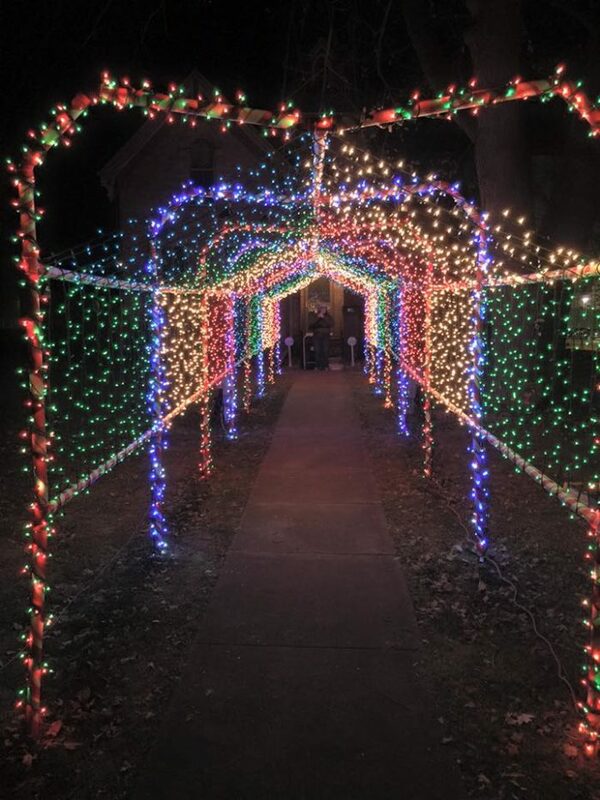 From now ‘til the end of December you can enjoy this enchanted three-mile stretch of dazzling holiday lights at the Du Quoin State Fairgrounds. Enjoy a ride on Santa’s train or tell Santa himself what you want for Christmas. The fairgrounds are close to beautiful natural wonders like the Shawnee National Forest. 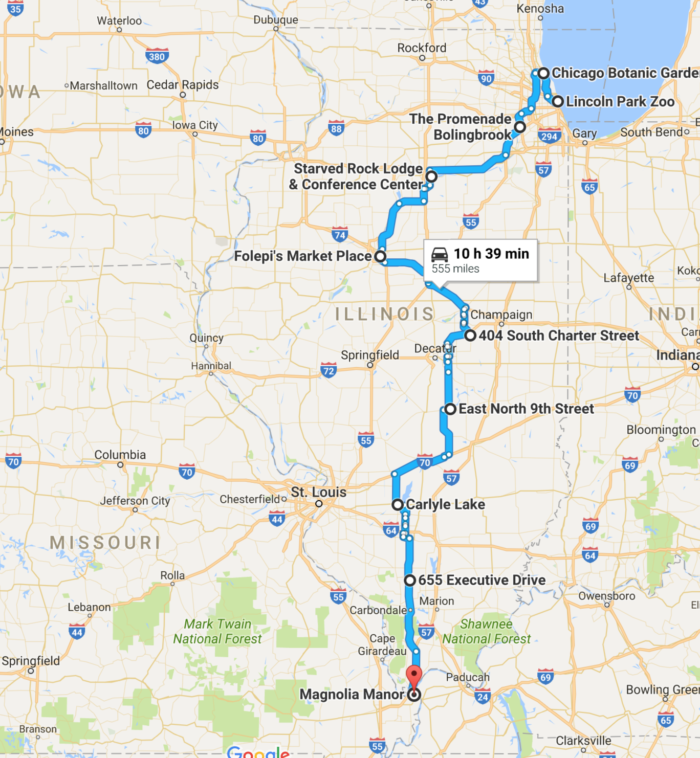 If it’s already started to snow these sites are also great side trips if you want to enjoy the peaceful snowy landscapes of Illinois. 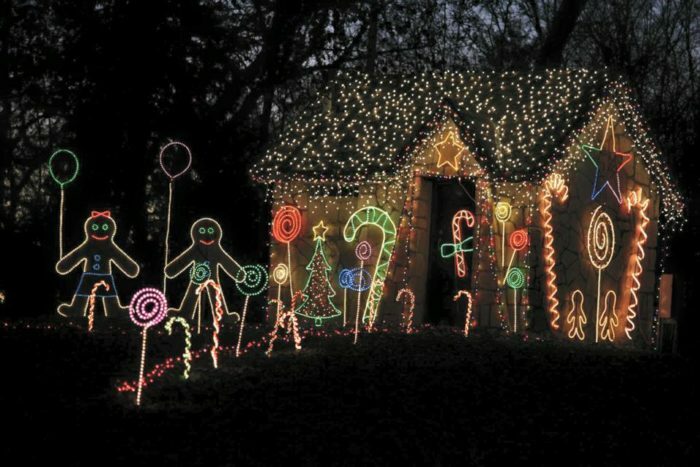 If you are planning on making a trip down to Southern Illinois this holiday season then you need to add this holiday lights display to your must-see list. All that driving and sightseeing might have you a bit hungry, so why not take a pit stop at Holiday House for a festive lunch that’s sure to fill your stomachs and revive your road-warrior spirits. Lunch is served from 1PM-4PM each day. 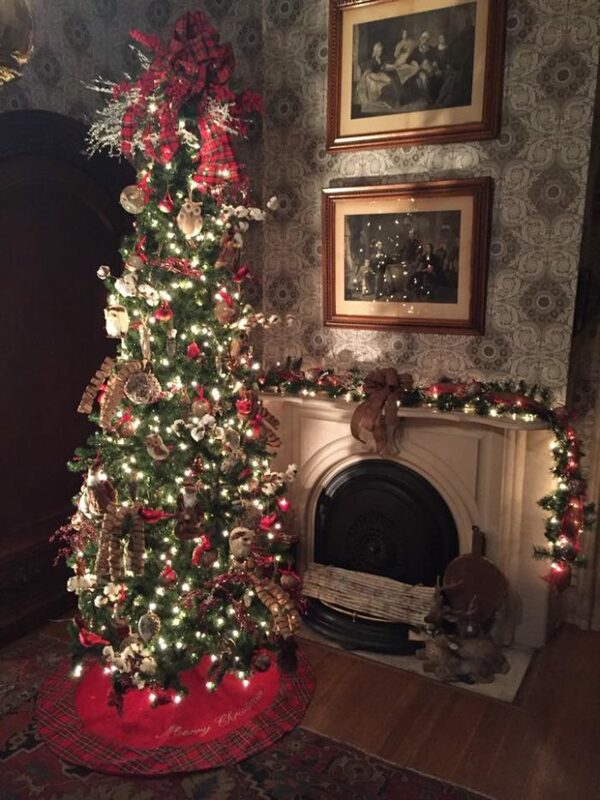 Enjoy the fancy Christmas decorations that surround you or even take some home (all decorations can be purchased!). Once you’ve gotten enough to eat you can enjoy taking a stately tour of this beautiful historic mansion. We believe the more the merrier when it comes to celebrating Christmas. 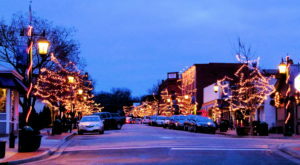 If you think so too, be sure to check out other magical Christmas towns in Illinois to feed your passion for the holidays. 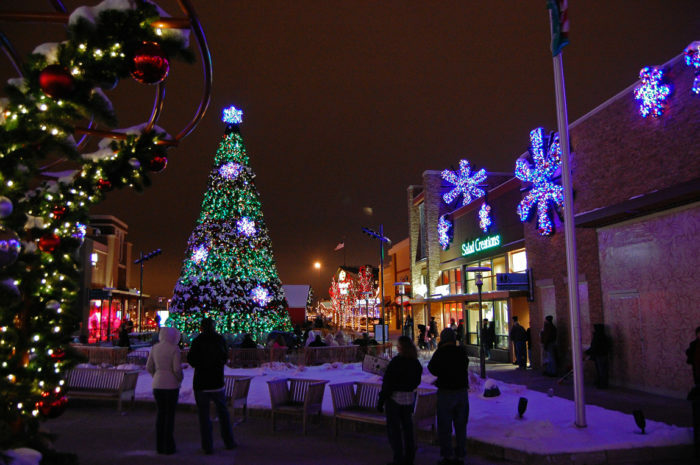 Here Are The Top 10 Christmas Towns In Illinois. They’re Magical.